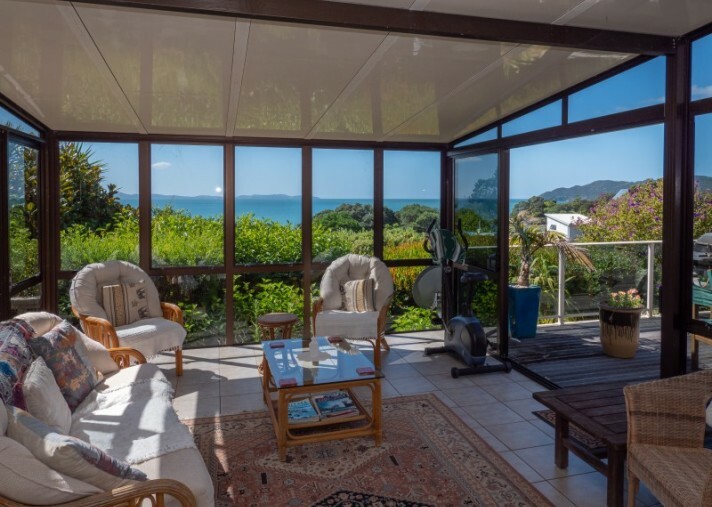 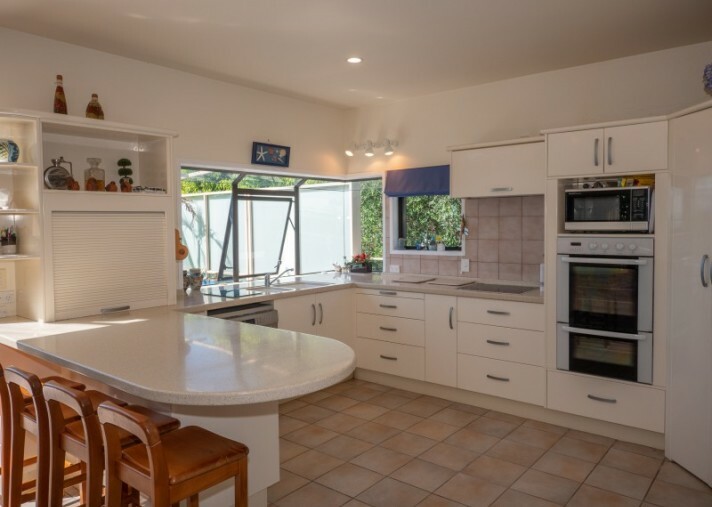 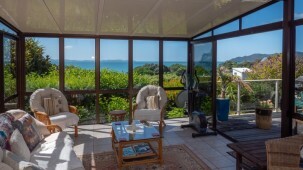 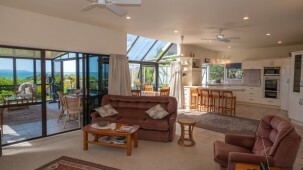 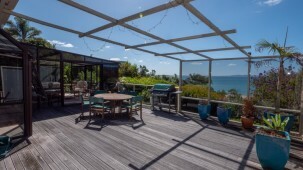 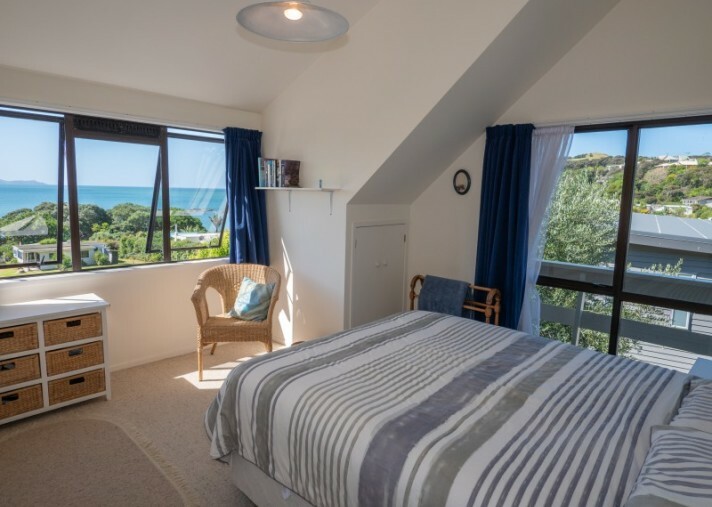 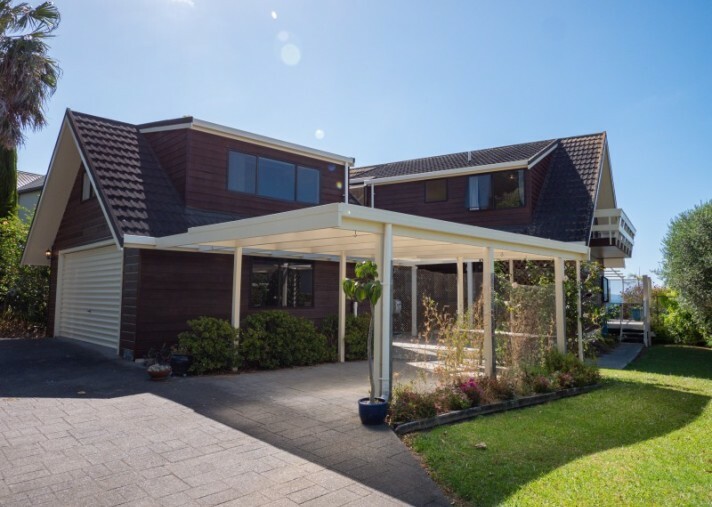 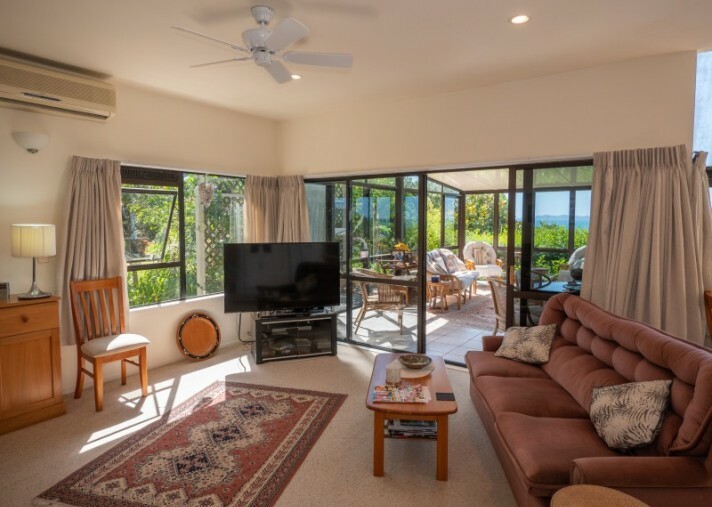 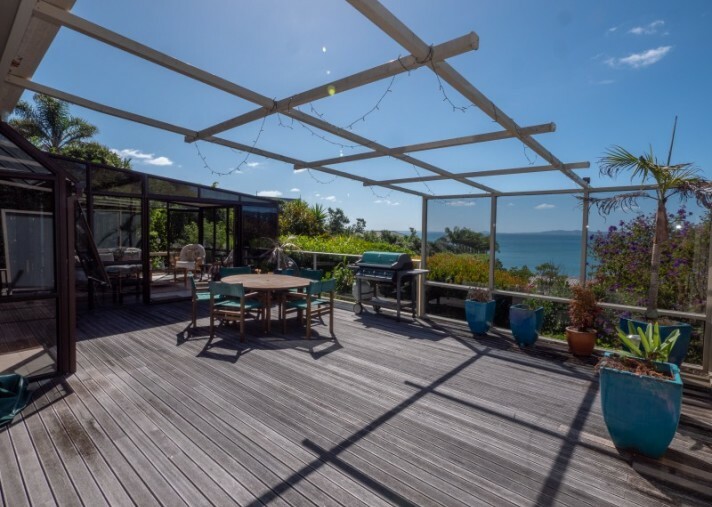 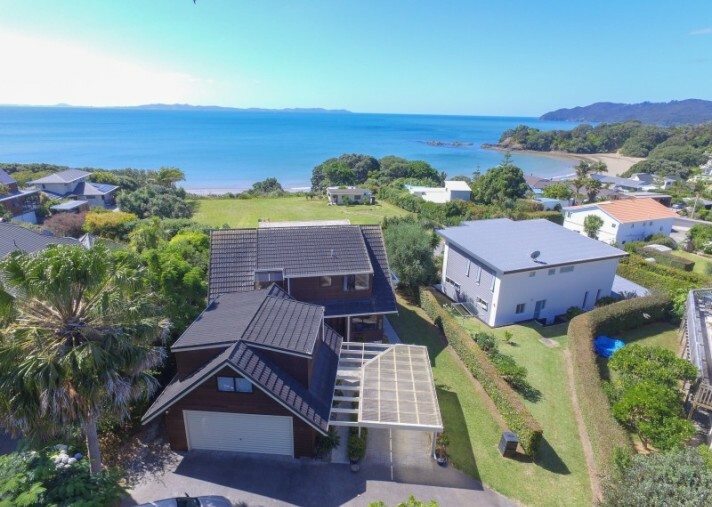 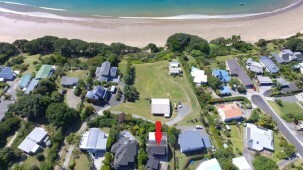 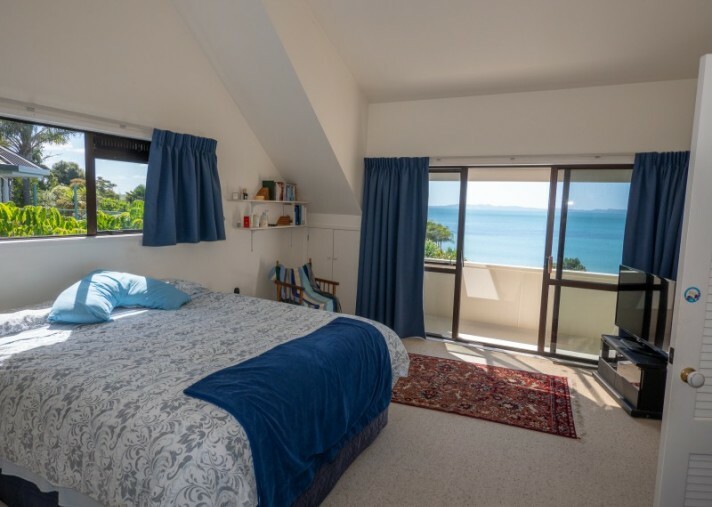 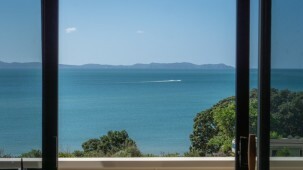 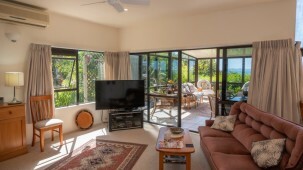 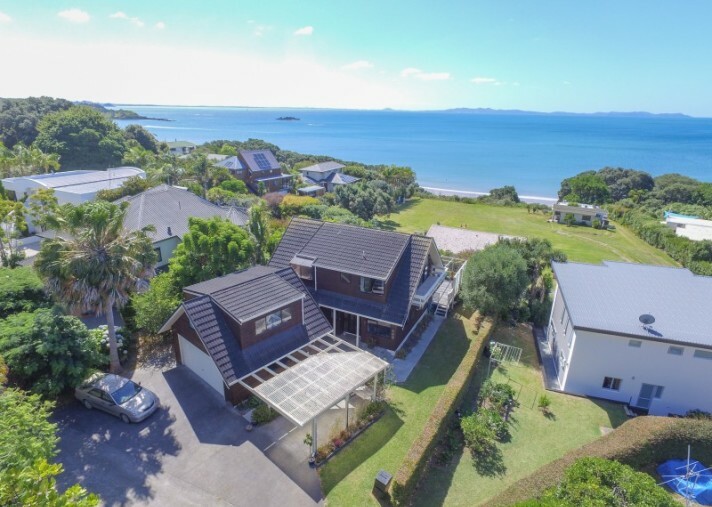 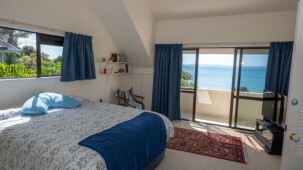 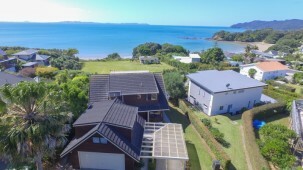 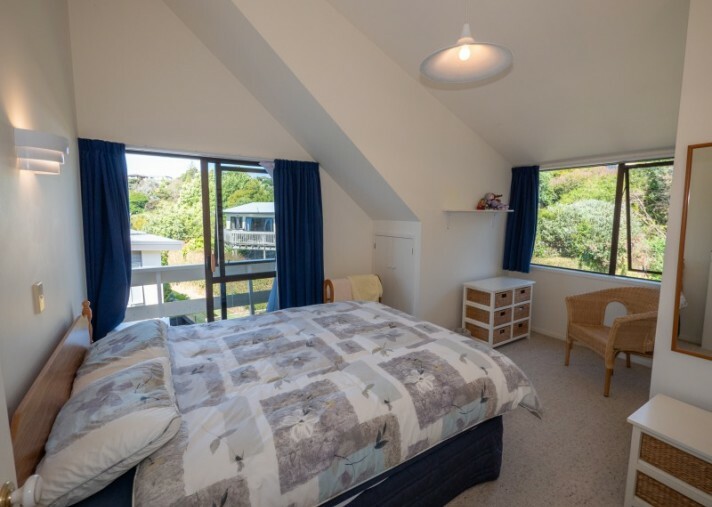 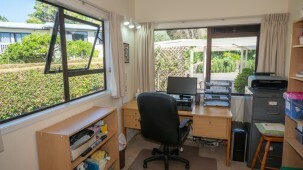 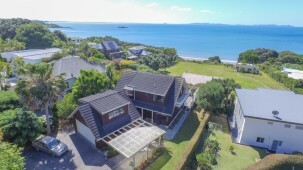 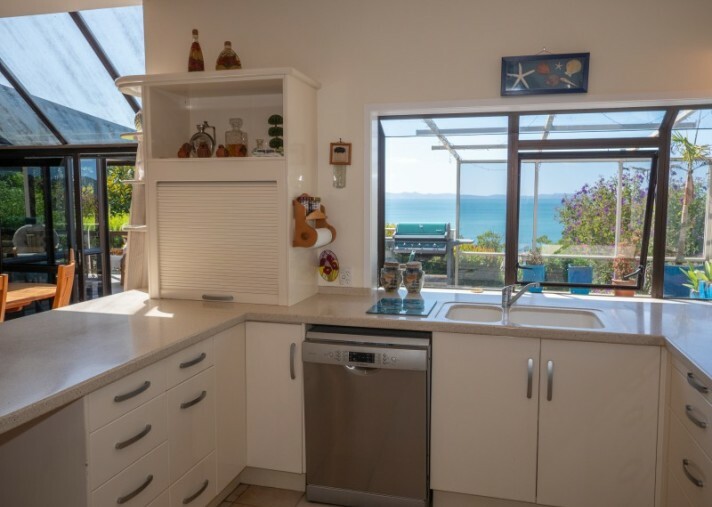 With DIRECT BEACH ACCESS in a prime position above Coopers Beach is this extra-large 4 bedroom / 2 bathroom home that offers something for everyone and enjoys lovely views of Doubtless Bay. 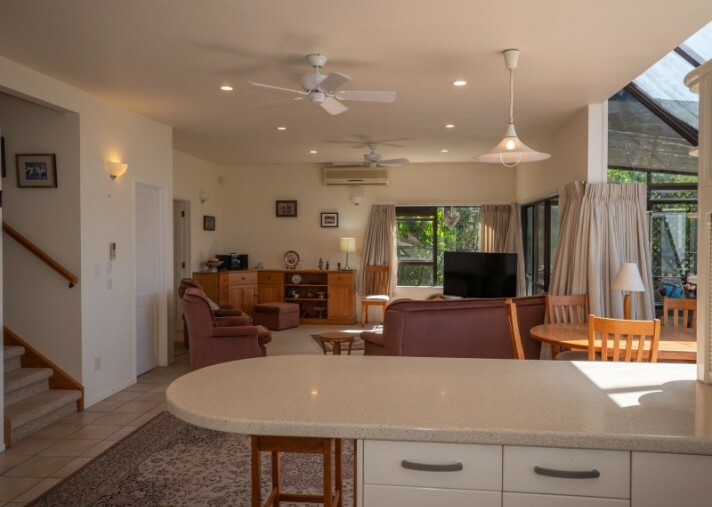 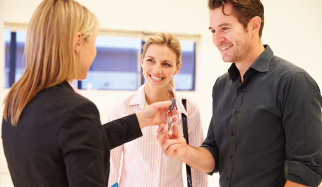 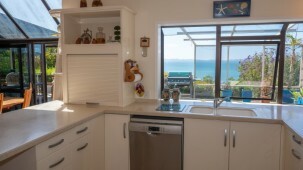 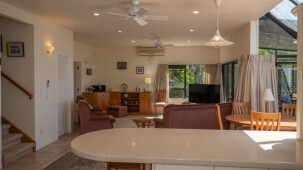 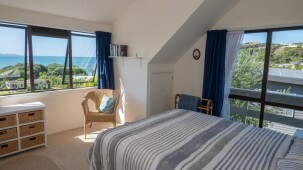 Its an easy walk to the beach and local shopping centre, close to boat launching facilities, and includes multiple outdoor and indoor areas for recreation and relaxation. 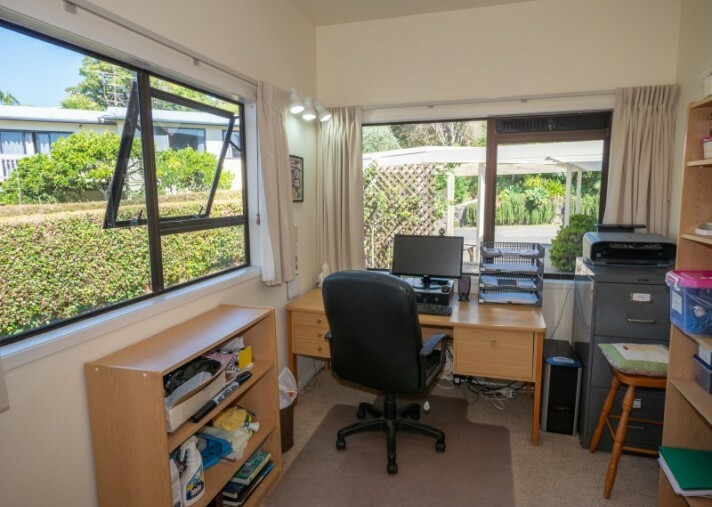 The home is warm, sunny and spacious, with lots of great extras, including a large conservatory lounge, semi-enclosed front deck, office, and a double garage / workshop with a mezzanine games room. 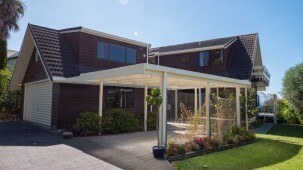 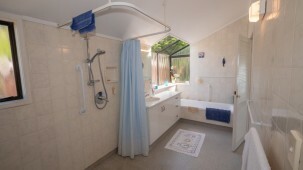 The two-level cedar clad home is centrally positioned on a private north facing easy care section. 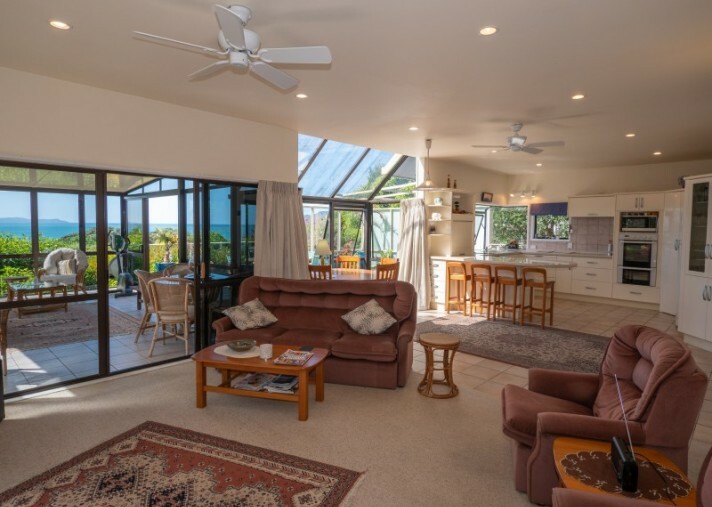 Open plan living areas face toward the sunshine and sea, with multiple sliding doors and large windows creating great indoor-outdoor flow. 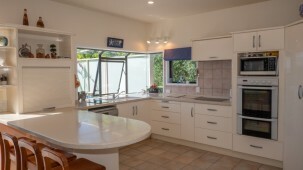 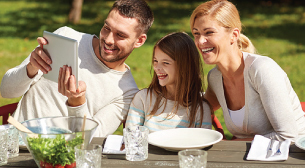 The kitchen is spacious and well designed, and the adjacent dining area opens to the front deck. 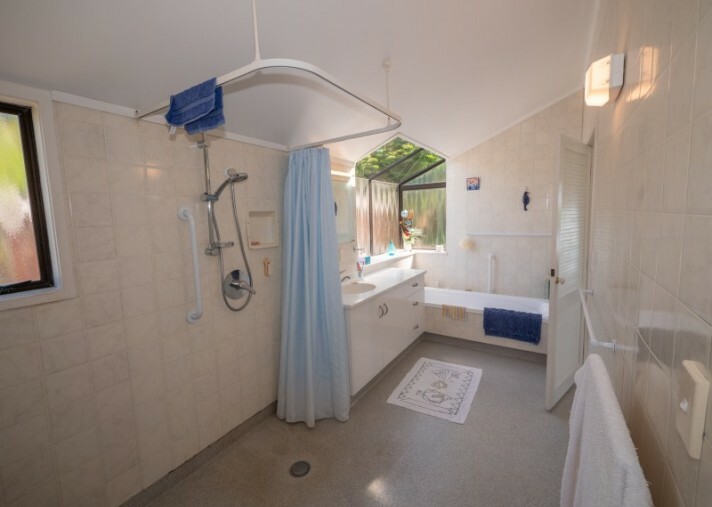 Set behind these living spaces is a double bedroom with private access to the main bathroom, an office, a compact laundry and the main entrance into the home. 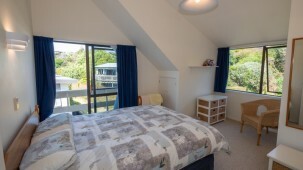 Stairs off the lounge lead up to three spacious double bedrooms and an extra-large bathroom. 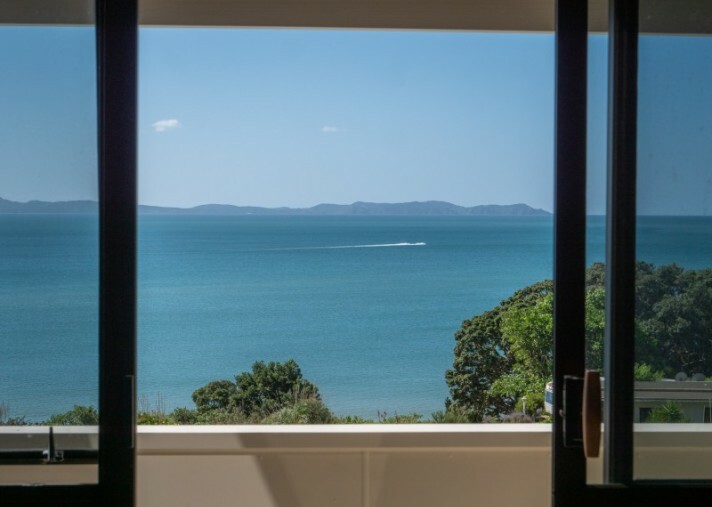 The master bedroom enjoys outstanding sea views and sliding doors opening onto its own private north facing deck. 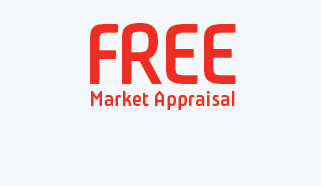 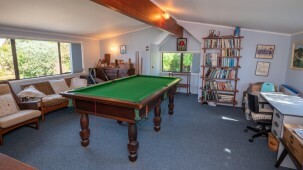 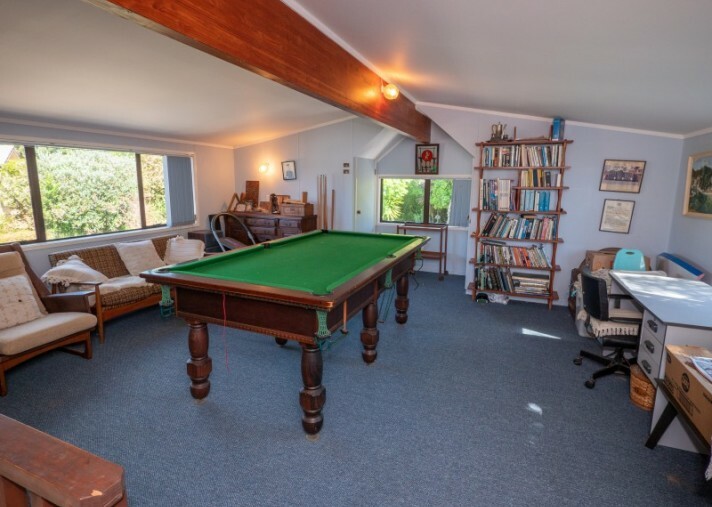 A spacious double garage with workshop is located at the entry and south side of the property and includes a large upstairs lined mezzanine games room that would be perfect as an additional work space or as a bedroom for extra guests. 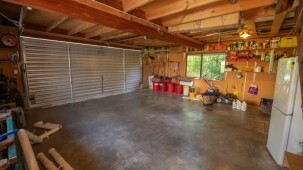 An underground water tank is located directly under the garage. 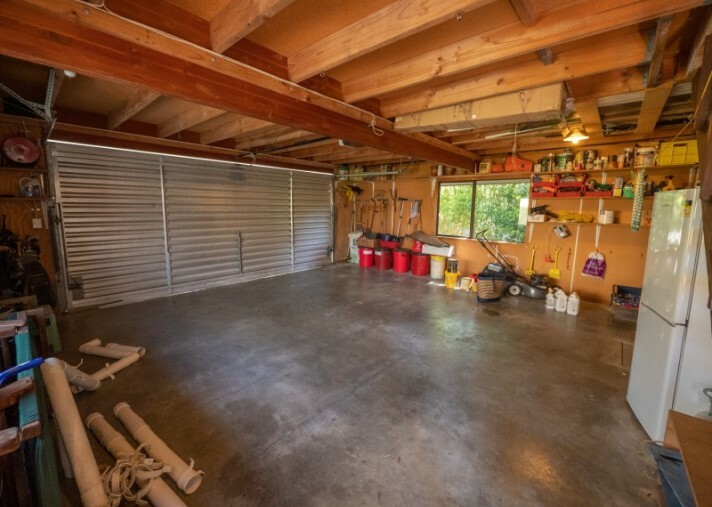 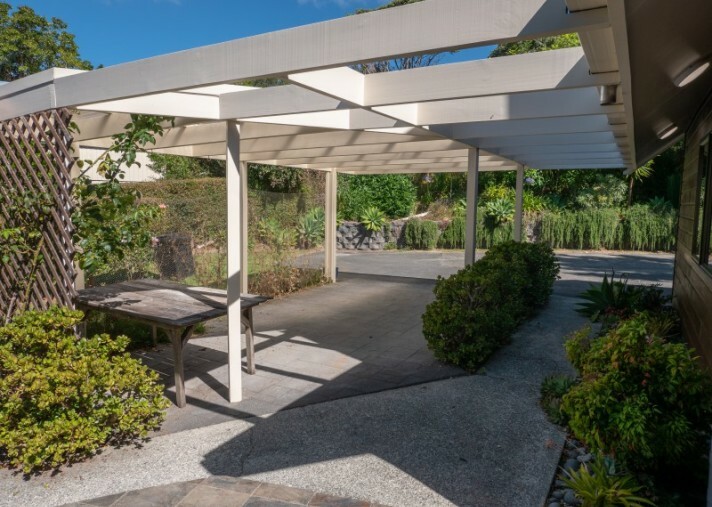 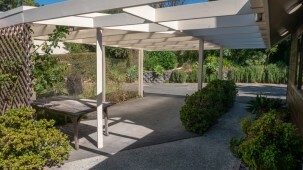 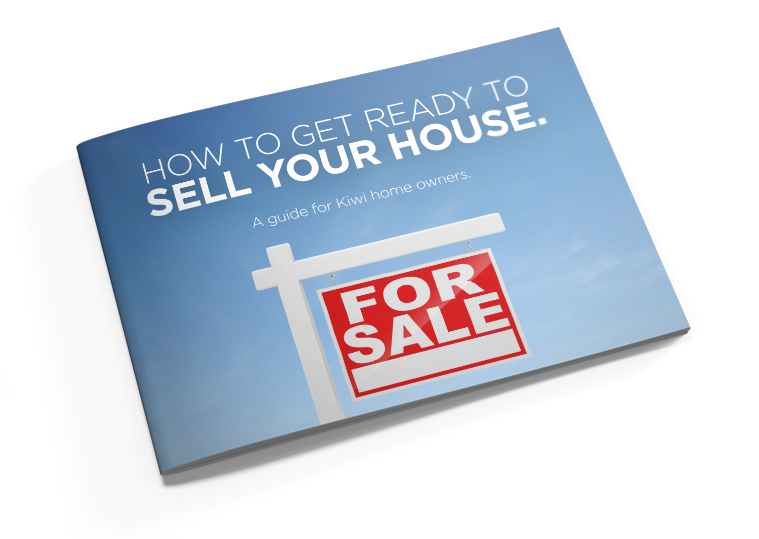 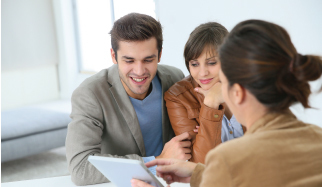 The home has been cleverly designed and well maintained, and includes loads of other great extras, including excellent storage spaces, concrete pathways around the house, and plenty of off-street parking. 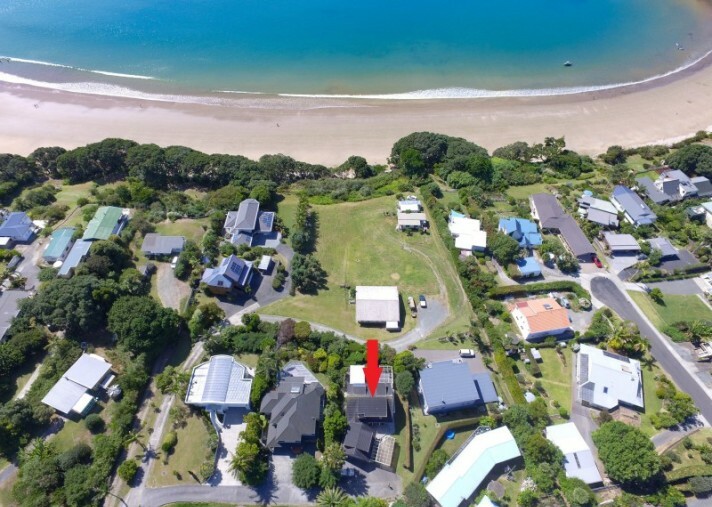 Very few properties come up for sale in this prime location on the beach side of the highway so contact Michael Healy for further information or to arrange an appointment to view.